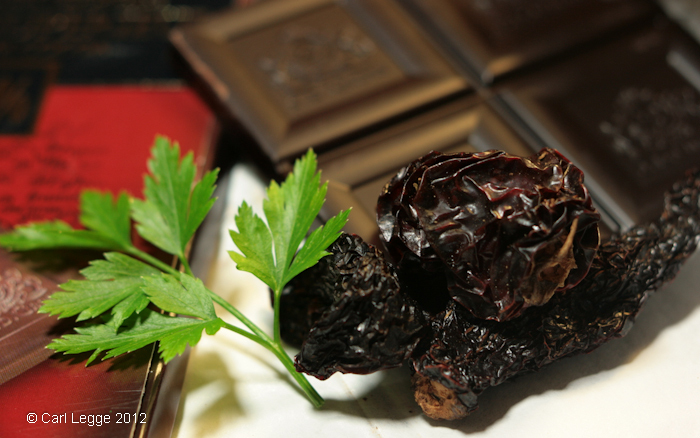 Chillies and chocolate are a classic combination. The spicy warmth & smokiness of the chilli combine perfectly with the rich, smooth depth of the chocolate. I was prompted to develop a recipe by Choclette’s February I Should Cocoa Challenge. The challenge was to use chocolate in a savoury vegetarian recipe. I’d previously done a Challenge in April last year in producing my Hidden Hearts muffins. I had some wonderfully fragrant chipotle chillies which are mexican smoked jalapenos that I wanted to use. The resulting chilli is rich, slightly fiery and smooth. The beans & grains provide substance. It’s a pretty frugal meal too that you can make loads of and freeze or can the leftovers for later. I served this with some brilliant yellow corn bread. In case anyone missed me, I’m sorry for the big gap in posts for this blog. 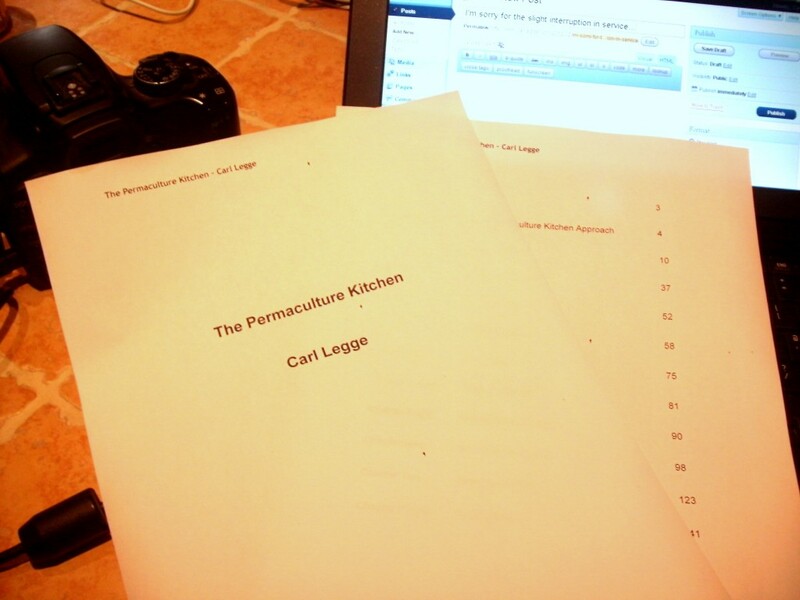 I’ve been on a big push to get the manuscript of my first book The Permaculture Kitchen to my publisher Permanent Publications. To finish it I needed to concentrate my attention on it 100% so my blog had to take a back seat. It’s an introduction how to cook for busy people who want to cook fresh, local, seasonal food, in a sustainable way. I’ve tried to make the recipes and ideas faff free to encourage people who don’t normally cook to start. I’ve written explanations of how to create recipes and menus on the fly with the minimum of fuss and the maximum of flavour. The manuscript is now with editors and I wait for their feedback on my efforts. That’s a bit nerve-wracking. I’ve written lots in my professional life as a lawyer, marketer and public affairs person. To write an accessible food book is a different matter, so I’m ready for the feedback and some re-writes. There are pictures to sort and lots of design work still to do. I hope the book will come out as an e-book this summer. If it does really well, who knows, we may do a print version. It’s been a new experience for me to develop recipes, write the book and manage the smallholding & the rest of life. In the last year I’ve made some compromises & decisions about priorities that were difficult. Debs has been a real help to cover the gaps and keep me relatively sane. Now I’ve broken the back of this one, I really miss the process of writing a book. So I’m planning the next ones in the hope that my publisher and, more importantly, you like what I’ve done and want more.